Kolkata-Howrah - Ghumakkar - Inspiring travel experiences. I happened to visit Kolkata erstwhile Calcutta last month. I was there to attend a convention of our Indian railways interest group. The moment venue was announced as Kolkata, I immediately registered for the event. 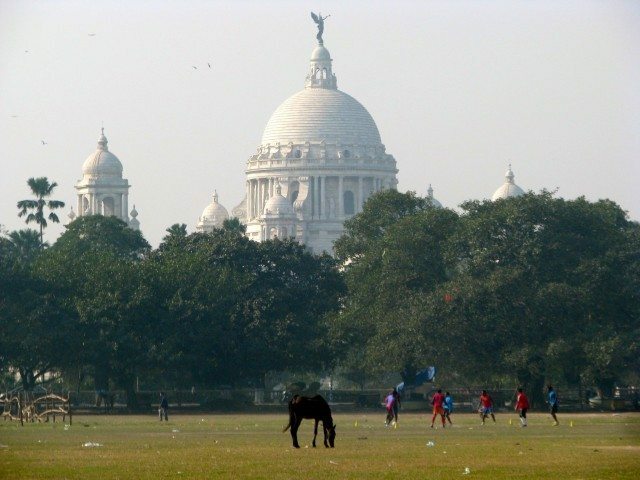 Kolkata is the most prominent major cities in India which had remained elusive to me. 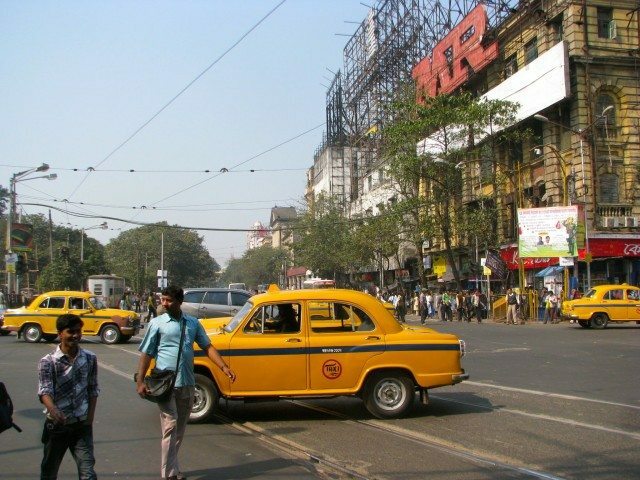 I had never been to Kolkata before or on this eastern part of India. I was quite excited for this trip and waited patiently for the day to arrive. Kolkata forms a significant part of Indian conscience having been bred through several literary, culinary, historical anecdotes. It being a city bigger and grander than Mumbai till some time back, capital of British India, home state to Rabindra Nath Tagore, place in Indian freedom struggle, contribution to Indian film industry and most importantly due to its colorful people whom I have met time and again and have become good friends. 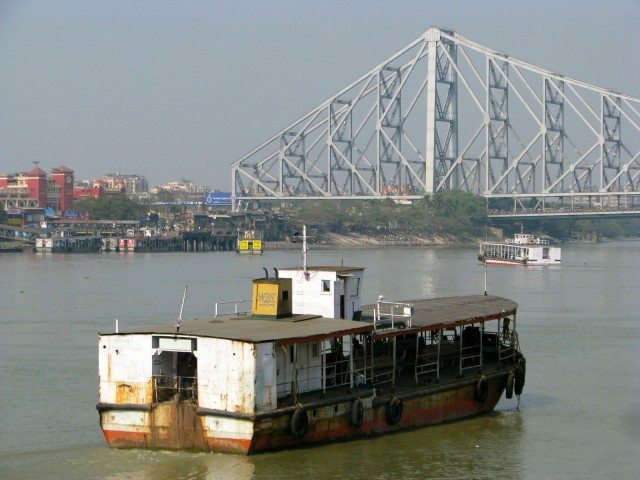 Here’s the famous symbol of Kolkata or the hyphen (aka bridge) connecting Kolkata and Howrah, the mighty Howrah Bridge. Though I had initially planned to spend 3-4 days but had to curtail it to just 2-3 days due to some personal work. With convention happening over 1.5 days, practically I had only one day to explore the city. It took more time to reach Kolkata than I had time to go around. Due to lack of credible trains from Pune, I decided to take train from Mumbai which was in the evening. The train was Duronto express which is a non-stop (no commercial stoppages) from Mumbai to Howrah and would reach next day in the evening. The train ride was comfortable and enjoyable which also formed important part of the trip. Most of the time I was glued to the window looking out as I was traveling on this line for the first time. I got down at most places where the train made unscheduled halts. Finally I passed through all the places which I used to draw on geography maps in school – Rourkela, Bhilai, Tata Nagar etc. famous for their Coal, Iron and Steel industries. I was passing through Odisha erstwhile Orissa, Jharkhand and West Bengal for the first time. That day most of the route was foggy which was surprising but I think it was due to lot of air pollution due to several industries and thermal power stations. The train reached around 45 minutes late by 8:30 PM which was a bit late for foraying into an unknown city. However, my companion obliged and insisted on dropping me to my guest house before proceeding to his relatives place. 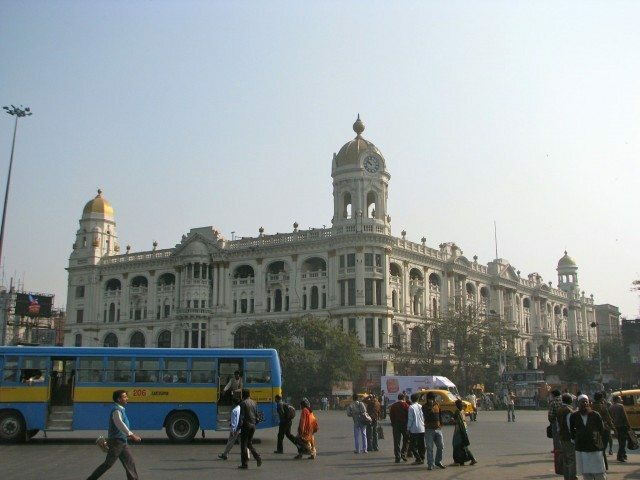 For people who are not familiar, Howrah and Kolkata are two separate municipalities though Howrah station is the main terminus for Kolkata city. The station is huge and for certain platforms one can bring their vehicle all the way adjacent to the platforms. Such luxury is not there in cities like Delhi/Mumbai. We were beneficiary as the car to pick us up was right next to platform. My guest house “Marble Palace” was located in “BeckBagan Row” close to Lal Masjid. The street was abuzz with activities – eateries, shops, traffic, pedestrians, people washing utensils, shop floor and themselves from the open water faucets. My companion told me about these open faucets where water keeps on flowing without stop for general public. Kolkata seem to rare water surplus city. It was a little unsettling initially to be located in such a place but on my companion assuring me of values of this city to be polite, helpful and cultured I was fine. My guest house was an old bungalow now converted into a guest house. The rooms were of Royal size – high ceiling, huge windows, old-style spring and coir sofas, really long door bolt for tall doors and huge bathroom which was basic but thankfully clean. I was alone today but other delegates and my friends from Hyderabad were expected next day. For dinner I strolled out on the street and after failing to find a decent restaurant settled for a hole-in-wall eatery selling chicken, mutton delicacies, parotta and roll. I decided to give a try and had parotta and mutton tikya which I felt took its name form detergent tikya which we use to wash clothes. The meal was delicious and it set me back by princely Rs 27. I reminded myself about cheaper cost of living in Kolkata. I am told you can still get a decent meal for Rs 10 in the city. Next morning I woke and was out by 8AM which was a bit late considering sunrise happens early in eastern parts. There were roadside tea stalls every few meters and first thing caught my eye was tea being sold in earthen cups called “kulhars“. They were ubiquitous especially on train stations till past 10-15 years but have disappeared since but are still available in Kolkata. I relish having tea from these cups so had tea number of times in these cups during my trip. For breakfast went to a sweet shop and had veg cutlet and “singhara” aka samosa. I had chalked out a plan before starting for this trip to go around Maidan area witnessing all colonial buildings, Indian Museum, Shahid Minar, Fort William, Eden Garden etc. 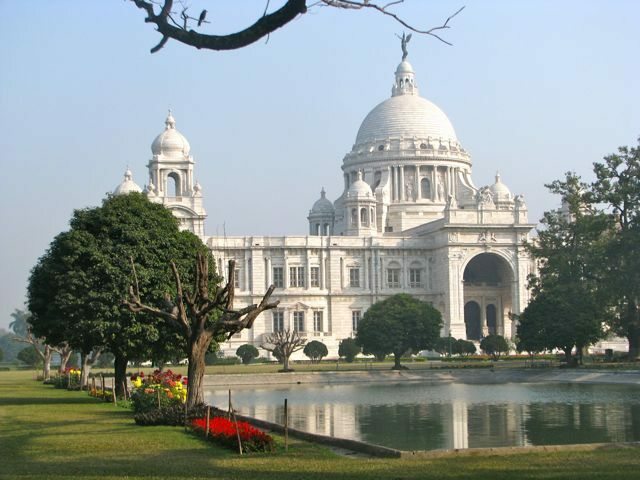 I referred to this http://wikitravel.org/en/Kolkata where a rough itinerary is chalked out. I straight went to Victoria Memorial but came to know that interiors and museum is open only from 9:30 AM onwards. There was still almost an hour to go. Fortunately, the garden around it was open. I decided to skip the museum and take a stroll around the building capturing it in wintery sunlight, filtering through the light fog. There were not many people at this hour and a cool breeze was blowing. My spirits soared and captured the building from various angles. The garden was very well-maintained with lots of exotic flowers and clean and clear water bodies. Somewhere I read that building was built to compete with Taj Mahal and indeed it does carve a place for itself. I exited from the other side gate and after walking a bit came to Maidan which means “ground” in english. I decided to walk and cut a diagonal through it. 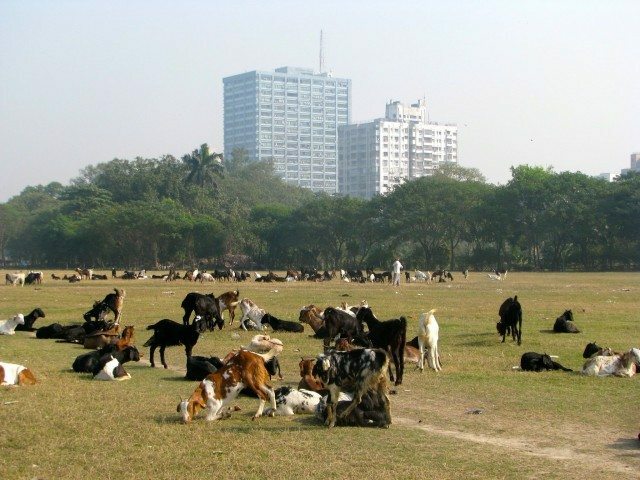 The major occupants that day were cattle – goat and cows and there were several herds were there bathing in sun. After crossing Maidan, I walked across watching names of several sporting clubs dotting the area. 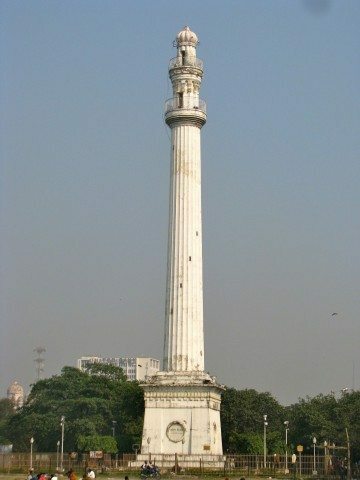 After that I came onto Chowringhee Road and could spot the Shahid Minar from distance. 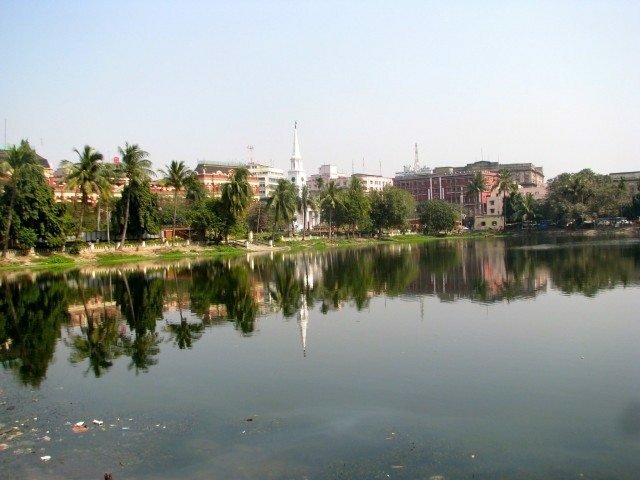 It is very close to Esplanade, seemingly heart of Kolkata, bus and tram terminal station and has a Metro station as well. I was little ahead of Indian Museum on the road so decided to walk unto the museum. By this time the footpaths along the road were starting to get occupied by hawkers selling all sorts of wares. I came to Indian Museum building which had just opened its counters. I did not have any expectations form the museum and thought I would just skim through it. However, it turned out to be a real treat. 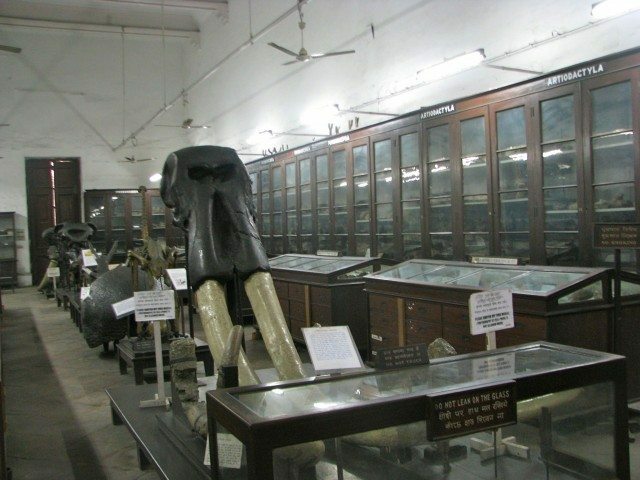 It has geological, archaeological, animal, avian, marine specimen over several galleries. The galleries where huge with several things at display. The display units were either tall wooden almirahs or wooden boxes placed on the floor. Rather than specimen I was more amused by rarity of such display furniture. Somehow the thought came to me that the museum itself should be kept in a museum :) Its a mecca for people interested in above disciplines and would take weeks to go through the exhibits. 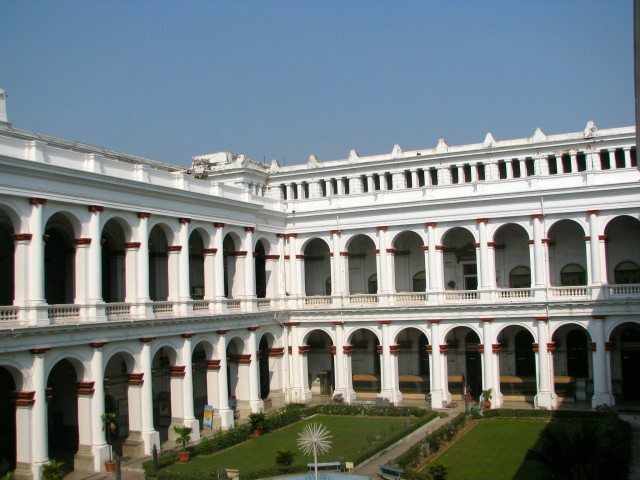 It is at par or richer than National museum at Delhi. After coming out from Museum I walked further on Chowringee Road and took a road left to go towards banks of Hooghly. While walking I walked past some old buildings and when I peeked inside had dimly lit staircases and offices, decor and everything from a past generation. In other cities, such buildings are long demolished and new ones have come up. The streets and roads were all busy otherwise with activity. In between there was a street vendor selling meals was quite busy. I thought of giving a try there. I ordered mutter paneer korma and mix vegetable and two tandoori “rotis“. The meal was nice and it costed me princely Rs 24. I walked further without asking but keeping idea of direction however it seemed I was just circling that area. While doing this passed through more sights of buildings, trams and people. Finally, I asked direction of BBD Bagh and went in that direction. I knew that there is a ferry service from here to Howrah station. I wasn’t sure whether I want to take the ferry now or later as I wanted to walk on the Strand road adjacent to Hooghly so spent some time at adjacent Millennium park to take rest and brood. Just then my companion called and told about their ferry experience earlier this morning and how they missed Howrah Rail Museum which opens only at 1PM. I looked at my watch and time was just about 1PM. 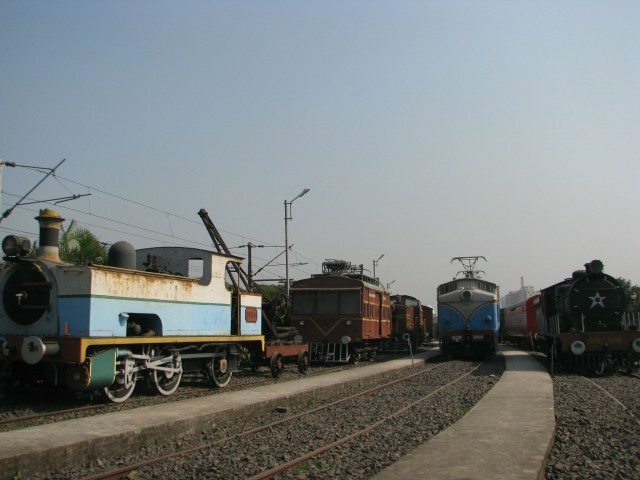 I made up mind to take the ferry and visit Howrah Rail Museum. This would give me a chance to ride on the river, give some rest to my legs and take pictures of ghats and Howrah Bridge. The ferry is quite popular as evident from the sizable crowd using it. The fare was Rs 4. 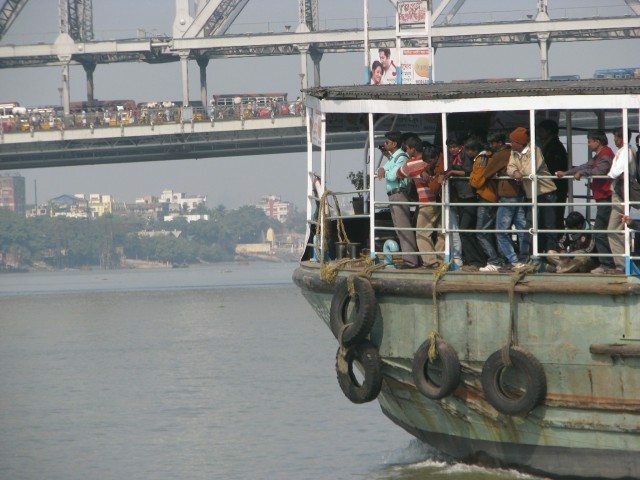 The ride gives sweeping views of Howrah Bridge. I wasn’t expecting to be awed by this old steel bridge now that many modern, longer bridges have come up but it towers above any other structure and was quite awed by it. I tried to recall images of this bridge which I have seen in movies and recalled the scene from “Do Bigha Zameen” where Balraj Sahni and his son are awed by it. From Howrah station jetty I walked to the rail museum which a little further from the station. It was well maintained but there was no visitor at that time. There were handful of exhibits much less than National Rail Museum which used to frequent in Delhi. 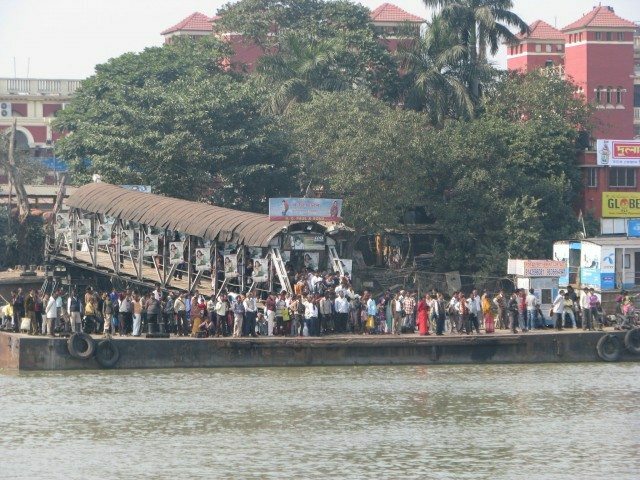 I came out quickly and went back to ferry jetty and this time bought ticket to Pincep ghat aka Babughat which is a bit upstream in Hooghly. I got down there close to Eden gardens. There was no crowd around the stadium not even usual hum-drum of city. After that I walked back to Esplanade. In the evening local volunteers were supposed to take people out on Metro and tram ride for people new to the city. It was decided to meet in front of Metro cinema at Esplanade by 4 PM. We decided to take Metro to Dum Dum and back. We took the contact-less tokens and went to the concourse waiting for the train. The train arrived soon enough. We boarded and it was comfortably crowded. This particular train was not AC though there are other AC trains. Due to window being open, there was lot of rattle of train and difficult to keep a conversation. We got down at Dum Dum and took train back to come to Esplanade. Entire metro experience was comfortable and efficient almost at par with Delhi Metro. Though currently there is only one single line from Dum Dum to Kavi Subhash, there are many spurs which are planned and under construction. At Esplanade, some of our group members wanted to buy local delicacies so we got into a K.C. Das outlet. We bought Sandesh and Rosogullas and ate Rajbhog. I had not seen a rosogulla so big in life though it was light to eat and I could finish all of it. After that it was decided for everyone to return to their guesthouse using tram ride. Apart from myself in Beck Bagan, rest were around Park street which are close by. We took # 22 to Park circus. The fare was mere Rs. 3.50. The streets were choc-o-bloc and it took a long time to reach Park circus though I was not complaining. After that I walked to my guest house where by that time friends from Hyderabad had arrived. After some chit-chat having met after long time we decided to go for dinner and have some beer. Our caretaker suggested some restaurants and we walked in that direction. However, we couldn’t find a single restaurant with bar. We went to other direction and asked certain folks who kept on assuring us that we will find some restaurant just a block or two down. We kept on walking but didn’t encounter one. Never in any other city did I had to walk so much for a beer. May be we were not located at right place. Anyways, we finally found one called SoHo which seemed slightly upmarket but found that its prices were stratospheric even beyond for cities like Hyderabad/Pune. None of us were ready to spend so much in a city known for cheap cost of food. I was reminded of delicious Rs. 27/- meal I had. I suggested my folks to go there and everyone agreed. We attacked that shop and occupied the only two tables available there. After that we ordered things one after the other. After eating heartily the total bill was less than a single veg starter in SoHo. Next day we had convention for whole day at Rotary Sadan very close to Rabindra Sadan. Entire breakfast, lunch and dinner was provided at the venue. The meal menu was carefully chosen to give a flavor of Bengali cuisine. Lucchi, Chicken Korma, Baigan bhaja and Nanglur rosogulla. Dinner was equally enticing with Fish fry, Aloo posto etc. We had a break for couple of hours in which I went in metro to the other direction till Kavi Subhash. Apparently most of the stations on metro are named on famous Bengali personalities from art, movies and literature. That is why I missed famous names like Tollygunge and Bhawanipur. After “Mahanayak Uttam Kumar” station, train runs on elevated section and I could witness some views of the city. Today was Saraswati Puja day which is a big auspicious day in Bengal. Most of the men & women were dressed colorfully dressed in traditional attires which was a pleasing sight. Next day we had convention for half-day till 1PM. As a special guest the drivers of first metro train service in 1984 were invited who gave us some anecdotes of that day. I had to catch Gitanjali express at 1350 so had to leave by 12:30 from venue. My host said that even if I leave by 1PM, it should be fine as stations is some 5-6 km only. However, I left a little early to give buffer and it turned out to a good decision. I took an ambassador cab which sprinted initially but while approaching Howrah bridge there was a jam. I waited for few minutes impatiently and kept on pestering the driver. He said that bridge is nearby and one can walk down to station. On seeing some other folks walking with their luggage, I decided to leave the cab. I walked for some distance and seemed that jam will open up. Not to lose out I climbed a bus going to Howrah. Soon it too got stuck and I had to again get down and walk. Now I was just before the bridge’s mouth and it seem things will ease out from here so again got into a cab who asked me 50 rupees. I said fine as long as I get in time. The entire stretch was horrible, horns blaring, vehicles screeching and overworked police folks trying to manage the traffic and humanity on the move. I entered from platform 1 side and figured that my train was on pf 21 almost half a km walk. Huffing and panting I finally reached the platform and boarded the train. This time I was in sleeper coach so remained glued to the window and watched the landscape of West Bengal and Jharkhand pass by and brooding over my trip. I had just scratched the surface on this wonderful city. Other cities tom tom about fusion of old and new, preserving tradition and embracing modernity but I feel Kolkata does it without trying. I am longing for next visit already. Some transport heritage of the city – Tram, Ambassador cab and Hand Rickshaw. Next articleNorth Goa beaches and more in monsoon on a shoe-string budget ! Great account Roopesh. I haven’t been to Kolkata as well :-) and have similar thoughts. I didn’t know that Hand-Rick is still in action. Though a lot of people talk about the cost of living, I was not sure that you can get a decent meal under INR 50. I was curious to know on what happens during the ‘Rail Enthusiasts’ meet. Rajiv Tewari (http://www.ghumakkar.com/author/nh24) and Neeraj (http://www.ghumakkar.com/author/neeraj-jaat-ji/) are two other serious Rail Enthusiasts which I know at Ghumakkar. @Nandan – Thanks. There was a drive to phase out hand-rick but due to their lobby it could not be completed. 50/- is quite an amount for that you can get a meal even in Pune also :) Let me say that cost of living is cheap but quality of living or services may not be that high which you would expect in other cities. Regarding rail enthusiast meeting mostly there are presentations on various aspects of Indian railway like technology, operations, heritage, quiz etc. and generally a venue for rail enthusiasts to interact. Great work on gathering and publishing info………………….. 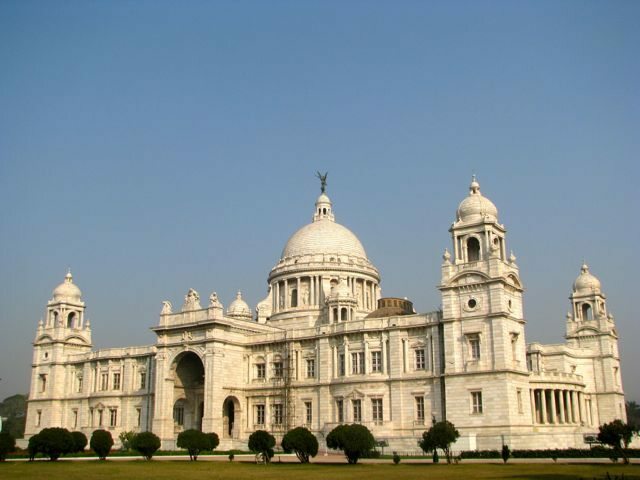 Some of the pics are really mind blowing especially Victoria Memorial and museum…………….. I had been there in 2006 and still memory is fresh in my mind. Still there are majority of buildings which were vintage and best among its kind……………..
We can still find lot of traces of 1930’s and 1940’s there. I feel its a must visit to every Indian at least once ……………. @Vishal – Thanks for kind words. Victoria Memorial that morning was asking to be shot in diffused wintery light. A better photographer would have come out with better results. You used the right word “vintage” which did not occur to me. Though I could not explore the city much but based on whatever I saw, we could ascribe the term “vintage” to Kolkata though I am sure there would be several modern avenues. However, just like vintage cars driving on our roads doesn’t annoy us and leave a smile on our face, as a tourist Kolkata would leave a smile on our face. 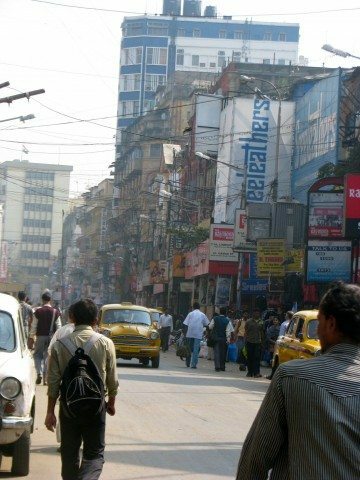 Lovely narrative, Roopesh, felt like we were out there with you on the streets of Kolkata. The pic of Howrah Railway Station with Hooghly in the foreground was amazing; never knew that the station could be seen from the river. It was the city of my childhood and I felt nostalgic while reading your travelogue. Looks like it has not changed much after all these decades except for the metro. Thanks DL. 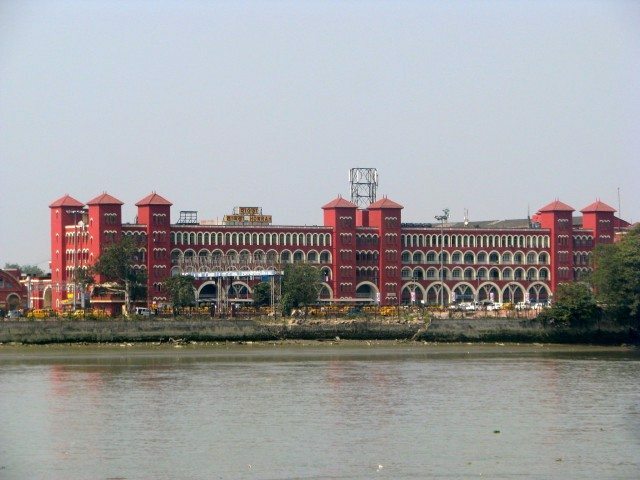 Howrah station is quite famous for it being on banks of Hooghly and close to mouth of Howrah bridge and it being a terminus i.e. railway line does not go beyond it. I wonder how city would have during its heydays or pre-liberalisaton days. It would have been a privilege to stay in a city like this. Tks roopeshji for this virtual tour of the City of Joy!! Thanks sir. I now recall that I have read that famous novel “City of Joy” by Dominic Lapierre. 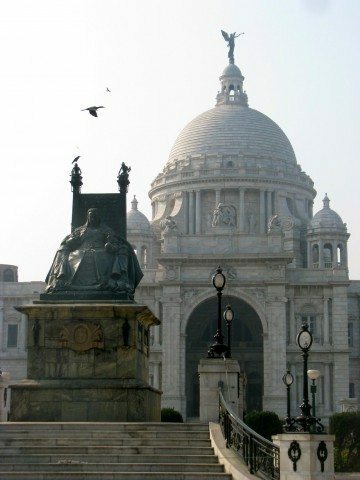 I have been born & brought up in Kolkata and spent the first 22 years of my life there. So your comprehensive and detailed narrative brought back fond memories! Very refreshing to read! But you seem to have missed out a visit to Park Street and its famous Flury’s restaurant. I would like to recommend that for your next visit. I assure you that you won’t be disappointed. 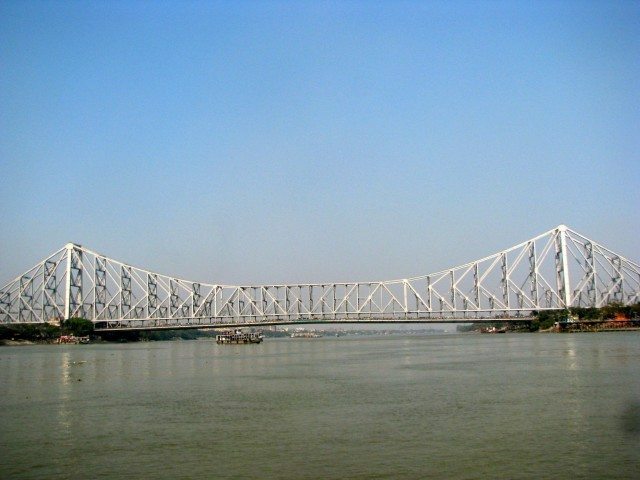 Also try and see the Second Howrah Bridge (Vidyasagar Setu) if time permits. What about Kolkata’s famous ‘puchkas’ (pani puri), ‘jhaal muri’ and hot kati rolls? Did you get a chance to try those? Thanks for appreciation and it is welcome from somebody who is from Kolkata. Unfortunately, I couldn’t visit Park street though passed through it. It was quite attractive and I was pestering my friends to go to Park street for dinner but it did not materialize. I practically had just one day to visit the city so could not explore much and with food being provided at the event, could not explore it gastronomically as well :) Hopefully next time. wonderful post!! Calcutta is a cheap city to live in…And you should always leave atleast 2hrs before your train timing because one can never predict traffic jams and sudden “hartaals” in Calcutta. If the latter happens u wont get any transport to go anywhere. nice snaps. There is Azad Hind superfast express from Pune to Howrah. Thanks Reema. I will advise everyone visiting Kolkata for the lesson learnt. I know about the Azad Hind and there is Pune but wanted to travel in Duronto which was not on the appropriate day from Pune. 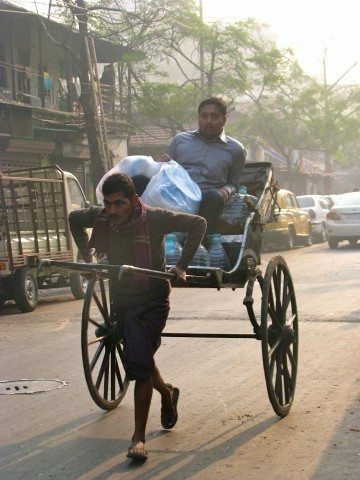 Your post brought back fond memories of my visits to Kolkata. Somehow you seemed to have missed the Vidyasagar Setu. No doubt Howrah Bridge (Rabindra Setu) and Victoria Memorial symbolise Kolkata. And there is no mention of the Writers Building. I hope you visit Kolkata again and cover these places and relish the jhal muri (somewhat similar to the bhel puri) . 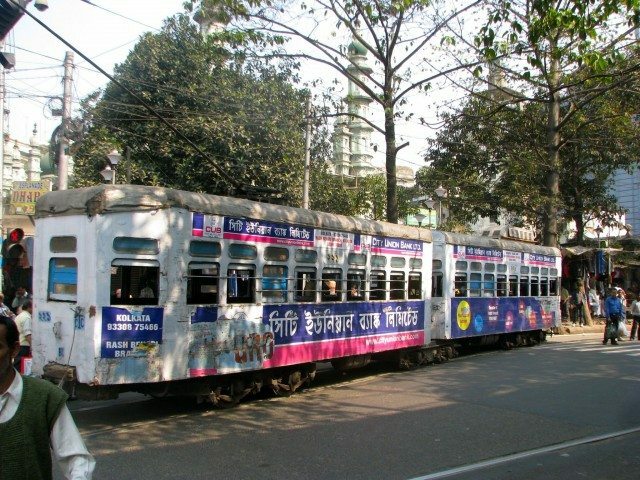 In Kolkata, you must leave at least two to three hours before the departure of either train or a flight. I have nearly missed a train once and a flight as well due to traffic snarls. I did not miss Vidya Sagar setu. I didn’t have time enuogh. It was visible from distance but due to haze and sunlight not falling in favorable angle couldn’t take any good picture. About Writer’s building, I actually got lost a bit around that area and couldn’t identify it. Hope to visit it again and relish all the places which I couldn’t visit and try it cuisines. After reading this post i am fondly remembering the times i used to spend near Balur math …….. soul feeling levitated with instant solitude. Thanks Giriraj. Summers I am told are very difficult. I wonder why all our Metro cities – Delhi, Chennai, Mumbai & Kolkata has harsh weather. Unfortunately, I could not visit Belur Math or Dakshineshwar. Hope to visit the city again and then explore the other sites. It was especially refreshing to read that you travelled around on foot a fair bit. This gives you a wonderful and earthy experience which you generally miss if you move around from place to place in a/c cabs or buses, for instance. No better way to feel the pulse of the city. My recommendation for next time – park street’s many restaurants and the wonderfully eccentric Marble Palace. Really …!!!!!!!!!!!! Nice and mesmeric account of penning that segued me into my past journey of KKolkata..
Congratulations first, for the post being republished! It surely shows, it has been one of our favorites!! 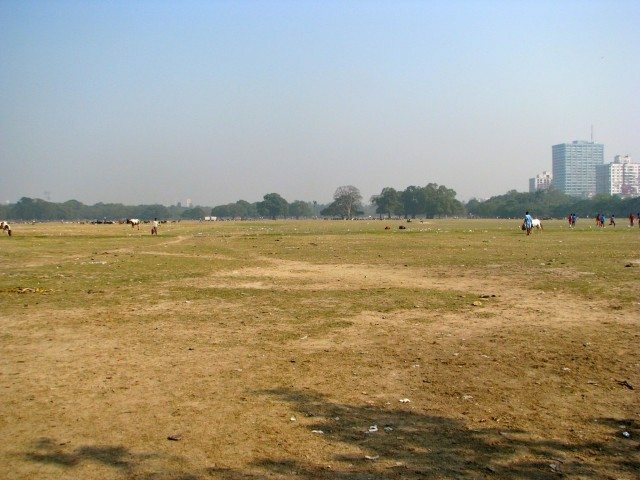 Posts about Kolkata remind me of one our best family trips, way back in 2007! Those trams, the crowded station, the Howrah bridge and of course the FOOD! It makes me plan for my next trip, soon! Thanks for writing such a descriptive post! 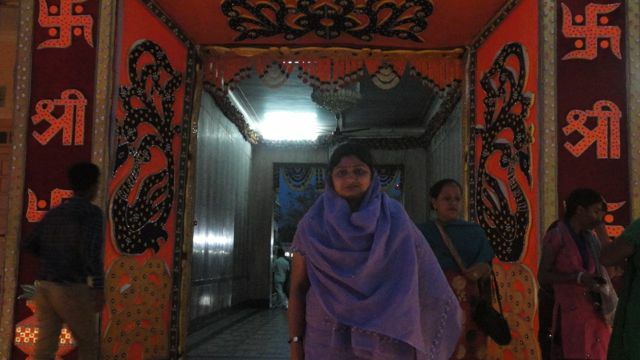 After paying our tribute to all the twelve sati, we went inside the main mandapam of the Rani Sati. It was huge structure similar to those found in the Rama Krishna Mission temples. Lots of space was available for people to sit and pray. There was no statue of any sati. Instead a simple trident depicting the Goddess was placed for devotees to pray before her. The walls and columns of the mandapam were again beautifully painted. Two or three purohits were helping the devotees in offering prayers there. The followers of Rani Sati trace her origin from the times of Mahabharata, in which she was the wife of Arjuna’s son Abhimanyu. Her name was Uttara. She wanted to perform the rites of sati, when Abhimanyu died in the Mahabharata battle. Then, Lord Krishna persuaded her not to do so, giving her a boon that she would get an opportunity to perform Sati in her next birth. As prophesied by Krishna, she was born in modern-day Rajasthan (Shekhawati) and Abhimanyu was born near modern-day Hissar in Haryana. Her name was Narayani and Abhimanyu’s name was Tandhan. He had a beautiful horse, which was also eyed by the King’s son. However, in the battle for the horse, king’s son was killed. Further, an infuriated king killed Tandhan in the battle. The brave Narayani, after killing the King in revenge, performed sati at the pyre of her husband. She was supported by the caretaker of the horse, named Ranaji. For his efforts, the brave sati granted Rana Ji a boon that his name would always be remembered before her vey name. Thus, the name “Rani Sati” came into existence.